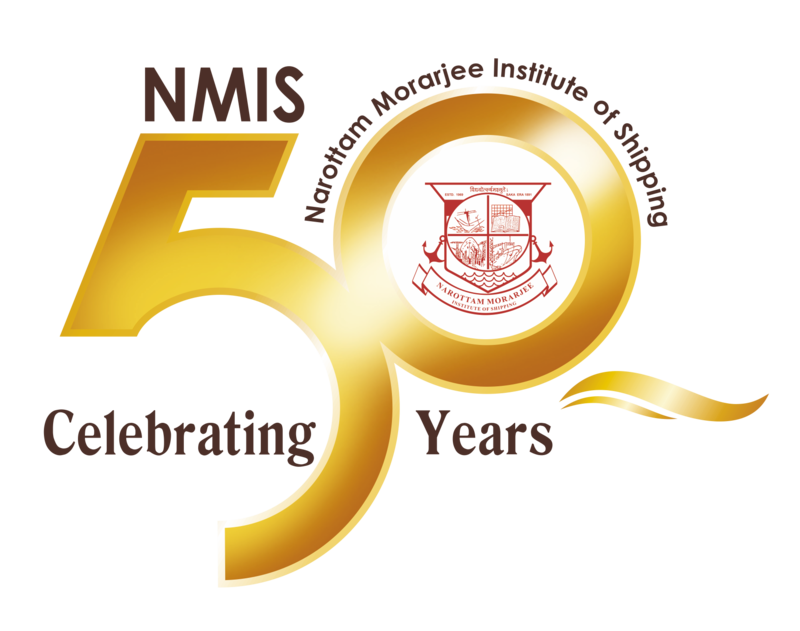 NMIS was set up in 1969 under joint auspices of Ministry of Shipping and Indian Shipping Industry. Institute is managed by representatives of D.G. Shipping, National Shipping Board, INSA, SCI, FICCI & Shipping related logistics industry. NMIS offers 2 years part time Post Graduate Diploma in Shipping Management (PGDSM) for graduates and Associateship/Fellowship for non graduates (HSC + two years shipping related experience). The course is designed for those who wish to take up commercial shipping as a career. The course is approved by Govt. of India, Ministry of Education (now HRD). The two year core course comprises of 11 subjects like Geography of Sea Transport, Commercial & Shipping Law, Shipping Practice, Economics of Sea Transport, Current Shipping Environment, Law of Sea Transport, Shipping Economics, Shipping Finance, Risk management & Marine Insurance, Chartering and Liner Trade & Multimodal Transport. The Admissions for 2017 will be started from 1st April. The consolidated course fees for 1st year is Rs. 30,000/- for class students and Rs. 25,000/- for Distance Learning (Correspondence) students. The consolidated course fees for final year is Rs. 34,000/- for class student & Rs. 29,000/- for Distance Learning (correspondence) students. This includes cost of exhaustive study material. Soft copy of the detailed presentations also provided to the students free of cost. In addition you have to pay an examination fee is Rs. 5,000/-. There is no other hidden cost/fee. The course syllabus & material has been revised/upgraded. The Institute’s premises and the Class room at your Nariman Point Headquarters, have been completely renovated. The faculty of the Institute includes top qualified hands-on professionals from the shipping industry, experienced academician as well as experts in their respective fields. The Institute’s courses have acquired international repute and they are validated by the Institute of Chartered Shipbrokers at London. The London Institute also gives exemptions in three subjects out of their seven subjects for their examinations to the candidates who have successfully completed the course from this Institute. Our students are highly respected and sought after by shipping industry. The Institute conducts classes after the office hours or on the weekends so that students can learn while they earn, at three locations in Mumbai i.e. Nariman Point, Powai and at Nerul, in Navi Mumbai. In recent past, Institute has also started its Local Study Centres at Gandhinagar (Ahmedabad), Gandhidham (Kandla), Chennai, Kolkata and Goa. This year a new Local Study Centre has been established in Delhi. Examinations are held simultaneously, in March every year, at Mumbai, New Delhi, Kolkata, Vizag, Chennai, Kochi, Goa, Gandhinagar (Ahmedabad) and Gandhidham (Kandla). Additional examinations are facilitated in the month of July & November at any centre if there are ten or more candidates. We also offer same course Under Distance learning Program (DLP). DLP can appear for examination at any centre of their choice. Almost all our students find decent placements, either during the course or shortly after completion. A new software facilitates on line filling of admission form. Time table, notices and many other details will now be communicated to the students through a software application. The Institute is moving towards placing the recording of classroom online thus creating a virtual class room, which will be of immense value to our students especially those under DLP. It is also planned to place study material on line. The Institute’s Convocation & Prize Distribution Ceremony was held on 18th February, 2017 at SCI’s Auditorium. Ms. Malini Shankar, IAS, Director General of Shipping was the Chief Guest. Capt. Avinash Batra, Chairman, Seahorse Ship Agencies Pvt. Ltd., was Guest of Honour, Capt. Anoop Sharma, CMD, The Shipping Corporation of India Ltd. had presided over the function. Distinguished/Senior officials from maritime fraternity attended the function. The photographs of this function are placed in Institute’s web site. Some benevolent organizations have come forward to offer scholarship to 50 of our deserving students in need of financial support. Some benevolent organizations have also introduced prizes to our students who excel in our 1st year and 2nd (final) year examinations. The students can be proud to know that one of our ex-students, Shri Arun Kumar Gupta, who was also our Governing Council member, was a CMD of The Shipping Corporation of India Ltd. The present CMD of The Shipping Corporation of India Ltd. – Capt. B.B. Sinha is also our ex-student. List of Library Books is now available on the Institute’s website. List of successful students & awardees is also now available on Institute’s website. Past, present and prospective students are welcome to interact with undersigned or Mr. Suresh B. Sawant, Institute Secretary or any of the officials of the institute to seek any clarification w.r.t. studies, career prospects or any other aspect. Narottam Morarjee Institute of Shipping.